Today, the Salt River Rafters will head to Glendale to play the Desert Dogs in the first part of a two-game tilt that could very well decide the fate of the season of either team. The Rafters sit a mere half game back of the Mesa Solar Sox led by Kris Bryant, CJ Cron and Sammy Solis. The Dogs trail the Surprise Saguaros by two and a half games with only four games left on the schedule. Needless to say, just in order to stay alive the Desert Dogs must win. The Saguaros are surging, with their entire lineup mashing led by huge performances from Henry Urrutia, Travis Shaw, Jorge Alfaro and Jason Rogers and they can be reasonably expected to maintain their pace against the last place Scorpions, but their pitching hasn’t been nearly as effective; in order to take advantage of any possible mistake the Desert Dogs will need to put up Ws against the Rafters. Likewise, with Bryant crushing everything in sight for the Solar Sox, the Rafters will need to ensure that they are putting ones into the win column if they want a chance to capitalize on any mistake that Mesa might make against last place Peoria. While the Desert Dogs are certainly not out of the running until the games have been played, it stands to reason that the true drama here will come down to the race to win the East division. 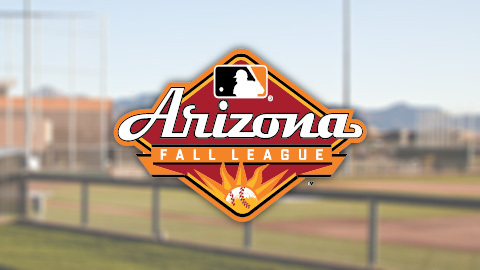 Salt River’s pitching has been outstanding, headlined by Toronto prospects Aaron Sanchez and Drew Hutchison, with the former throwing 5 no-hit innings with 8 strikeouts on Thursday and the latter walking away with pitcher of the week honors. In spite of their success, however, the Dogs’ pitchers have put up even better numbers with the complete staff putting up a league-best 3.51 ERA so far this year. Any advantage that the Dogs may have coming into this series on the mound is negated, however, by their 64 point deficit in OPS compared to the Rafters. With both teams’ pitchers currently firing on all cylinders, this aims to be a hot showdown of top prospect talent with the chance to change the landscape of the championship game on the 16th. The Rafters are a more balanced team than the Solar Sox, and likewise the Desert Dogs are more balanced than the Saguaros, but thus far they haven’t been better. Even if the Sox and Saguaros are getting there the caveman way and leaving the lane open to pass them, either Glendale or Salt River has to step up and make the pass. At this point it’s anyone’s game. Posted on November 11, 2013, in Arizona Fall League, Top Prospects and tagged Aaron Sanchez, CJ Cron, Drew Hutchison, Henr Urrutia, Jason Rogers, Jorge Alfaro, Kris Bryant, Sammy Solis, Travis Shaw. Bookmark the permalink. Leave a comment.